RHS Gold Award winning suppliers, Villaggio Verde has more than 20 years experience, meaning best value and peace of mind for you! 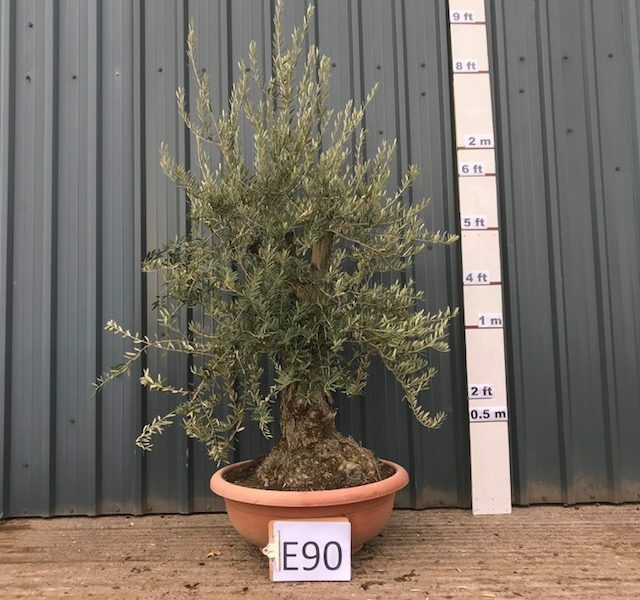 So whether you're after the perfect single olive tree for your garden, or you want to relax in your own ``Mediterranean`` olive grove - we will be privileged and delighted to help you. We are seriously passionate about Olive Trees! Olive Tree Specialists, Villaggio Verde are THE number one choice when you want to buy an Olive Tree. Whether they are gnarly old olive trees showing every century of their life, or fresh olive clipped ball headyoung olive trees in shiny pots, we simply love them! Which could be why we are now the leading olive tree specialists. 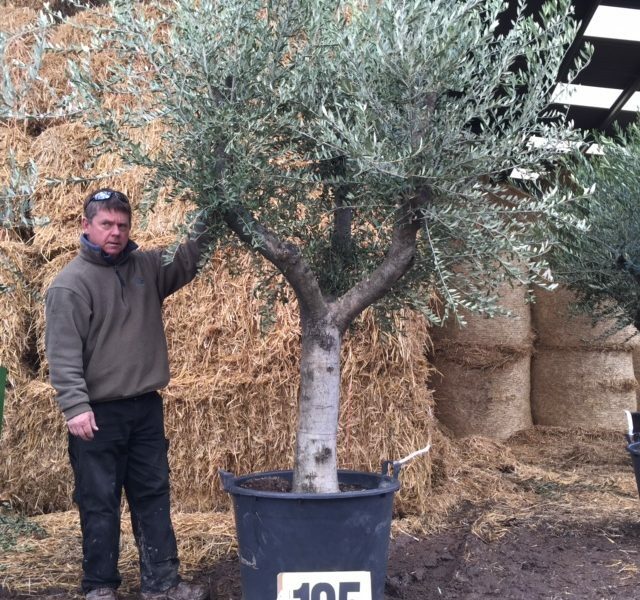 So, whether you want to buy a single olive tree for your garden, or you’d like to recreate a whole Mediterranean Olive Tree Grove – we will be privileged and delighted to help you. We have our own Mediterranean farmland, where we grow and nurture olive trees, as well as our Olive Tree Nursery (and old-olive-home!) in the UK, perfectly placed to supply the whole of the UK, including London, the Home Counties, the Midlands usually on a daily basis, subject to orders. We can also deliver to any part of the UK, on delivery schedules that can be between 24 hours and 2 weeks depending on requirements. 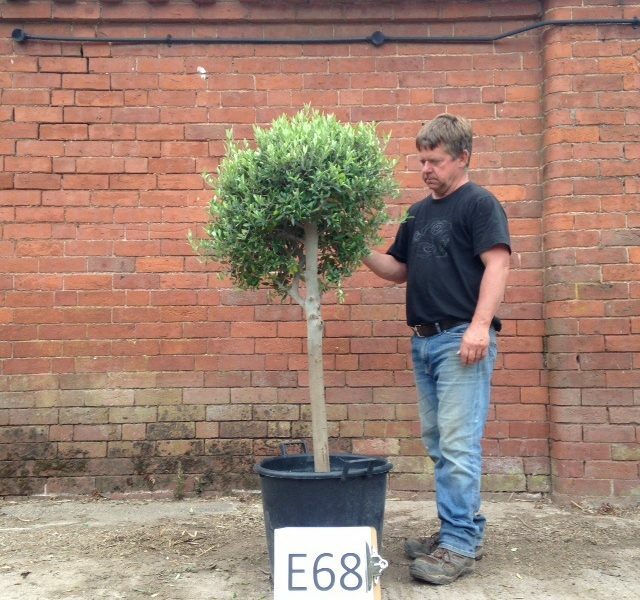 Having our own Olive Tree Nursery in the UK means we can usually even supply large or complex orders swiftly from our UK bases. You can visit our olive tree nursery or request a 360 degree video link to any mature olive trees you’d like to view. 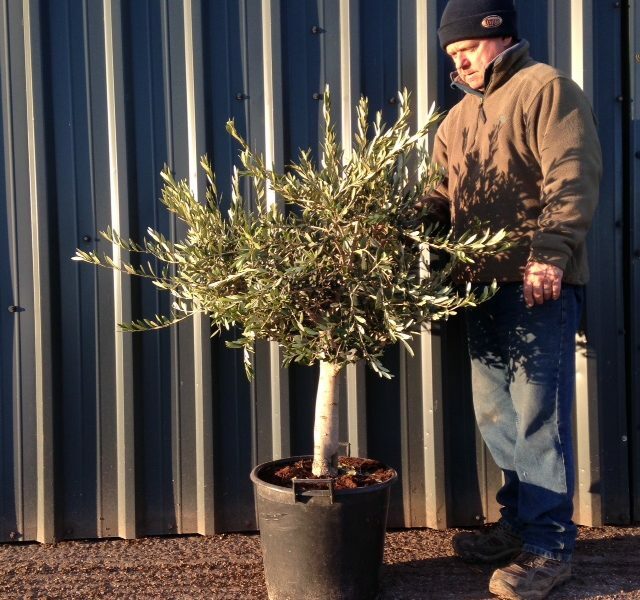 And of course we also sell single olive trees, and we’re happy to supply smaller orders. Passionate about preserving ancient olive trees. Ever thought of giving an ancient olive tree a good home? At Villaggio Verde, we work to save ancient olive trees that would otherwise be burned for firewood! It may sound shocking, but in some farming areas where a small olive grove is no longer profitable, Olive trees are replaced to grow more profitable varieties or diverse into a new crop. Villaggio Verde Olive trees are sustainable. We make it our business to identify these opportunities, so that we can carefully transplant these beautiful specimens (some over 800 years old) into gardens in the UK where they will be appreciated and admired. It can take 3 years of nuturing from the time we lift the old tree from the ground, untill it has re-rooted in containers and is strong enough to be moved to UK. We also supply Olive trees to other European countries. Young olive trees, old olive trees – whatever you buy – every olive tree is different. Every single mature olive tree is totally different. In fact, perhaps the only time olive trees look identical is when they start out life as cuttings. From then on, each and every olive tree changes minutely to adapt to its surroundings and what life throws at it. A nesting bird, a prevailing wind, a heavy pruning, and just their own beautiful gnarliness, all of these can combine to transform an olive tree into a piece of living art. For this reason, our ancient olive trees, mature olive trees and gnarly olive trees are all offered as individual items, so that the one you select, is the one you buy.